We made Christmas goody bags using cardboard and foam handles! Yes, they really turned out lovely and everybody loved them! We used up a whole lot of our cardboard collection to cut out equal semi circles. 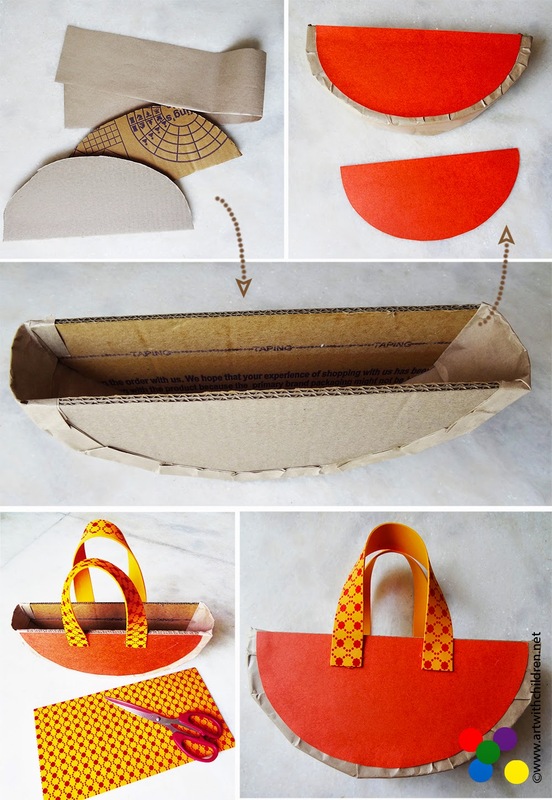 Broad strips of brown paper were used to stick the semi circles together which is the most tricky part. Pastel sheets or card stock was used to cover both the sides for color. 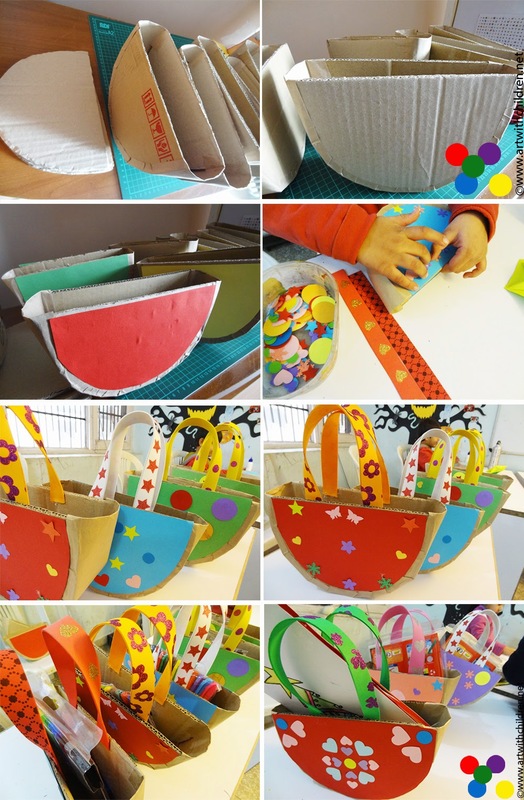 Every child got to choose the the bag color, handles and the decorations / embellishments. We cut out the foam sheets into strips about one inch, for the fancy handles! The handles were stuck onto the cardboard using hot glue, which was my job again! Well, the children came up with stunning ideas using the cutouts et al and it was great watching them decorate their bags! The bags were ready and lined up!! !They all looked GORGEOUS!!! You can also check out these pretty bags from ikat bag. They inspired our project. Happy creating everyone! Thanks for viewing!